NEW YORK -- Former New York Jets linebacker Ikemefuna Enemkpali could face discipline from the NFL under its personal conduct policy after breaking quarterback Geno Smith's jaw with a punch in the team's locker room. Enemkpali and Smith got into a dispute Tuesday before the team's morning walkthrough, and the linebacker slugged the quarterback. Smith likely needs surgery and is sidelined for 6-10 weeks, according to coach Todd Bowles. Enemkpali was released by the team shortly after the incident. An NFL spokesman said Wednesday that the league is reviewing the situation. Any incident involving workplace violence that occurs off the football field falls under the NFL's personal conduct policy. That means any team interested in signing Enemkpali, a sixth-round pick last year out of Louisiana Tech, might have to weigh a possible suspension. ESPN first reported that the NFL is looking into the dispute. Enemkpali, who had three tackles in six games last season, could also face legal charges if Smith pursues them. "I thought it was childish, either way, and it was stupid," Bowles said. "But we have to live with the results." The Jets were off from practice Wednesday as they prepare to head to Detroit for their preseason opener on Thursday night. The team will then have another day off from the practice field before returning Saturday. The incident clearly rattled and angered many Jets players, who were stunned that something of this nature happened in their locker room. "This isn't a UFC match," Jets guard Willie Colon said. "We're football players, not fighters." Enemkpali, from Pflugerville, Texas, has been in previous trouble for fighting. He was suspended from the Louisiana Tech team in 2011 after being arrested for an off-campus incident in which he was booked with disturbing the peace and battery of a police officer. But since joining the Jets, Enemkpali had made a mostly favorable impression on his teammates. "Since I've known IK, all he's done is come to work and try to become a guy for this organization," Colon said. "He's always played his tail off. So details at this point are here and there. Our quarterback is sitting at home with a broken jaw, we have an outside linebacker that isn't with us anymore. It's a loss." Bowles said Enemkpali was "remorseful" when he spoke to him, and the linebacker later released a statement through his agent, apologizing to the team and fans. 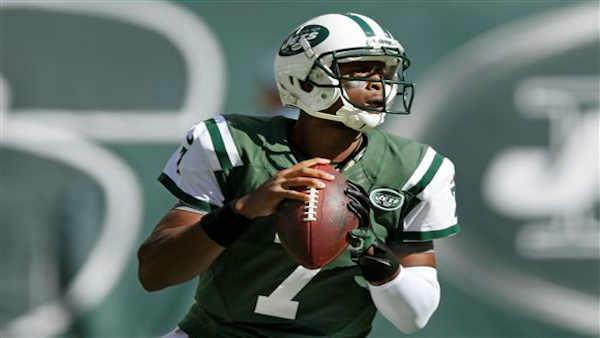 - Without Geno Smith, what's next for the Jets?